→When Do Babies Sleep Through the Night? 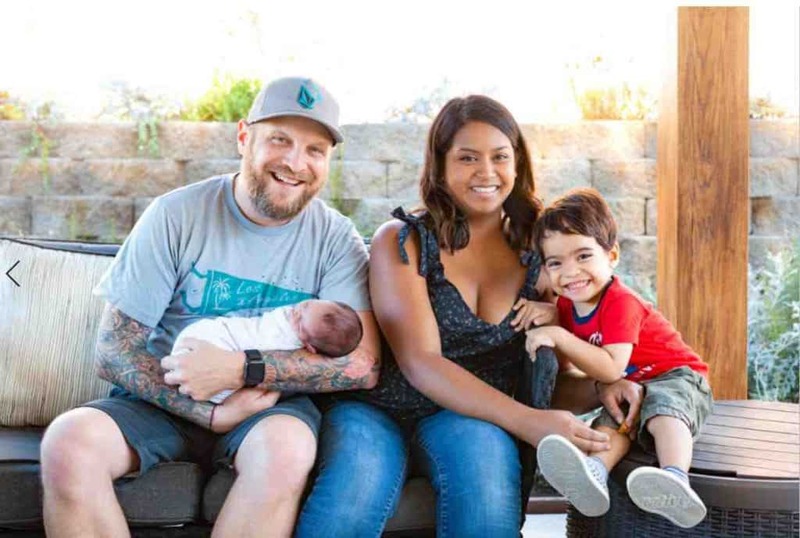 If you’re a new parent, that’s a question you have probably asked yourself on numerous occasions. As your lack of sleep and the corresponding frustration it causes mounts, it may seem like your baby will never sleep through the night. You may begin to feel that you are going to spend an eternity waking up throughout the night to the sounds of a crying baby and that you will never know the comfort of a good night’s sleep again. 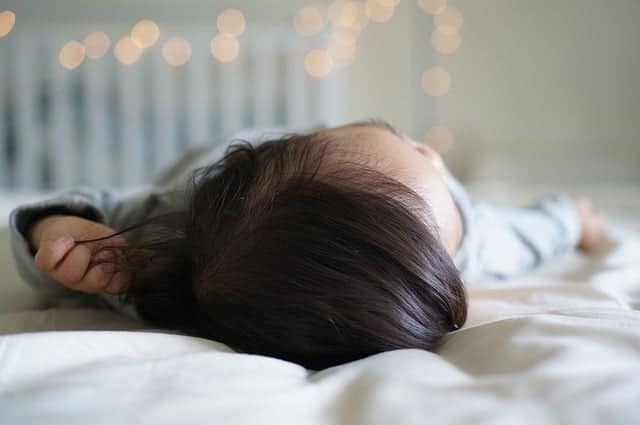 The good news is that while it may seem like it will never happen, all babies eventually develop a sleep pattern that allows them to sleep through the night. The first thing you need to know about babies and their sleep patterns is that they don’t get up in the middle of the night for no reason. No, they don’t do it either to test your patience, even though it may feel like that’s what they’re doing. That’s USAULLY it! Babies can’t tell you what’s wrong like an adult can. They can’t tell you when they are hungry or hate a dirty diaper. All that they can do to communicate their needs is to cry, and that’s what they do to communicate their needs. So when your baby is crying in the middle of the night it’s not without reason, it’s because something is wrong and they need your help. So – When DO Babies Sleep Through The Night? This is the reason you’re here, I know! Knowing that your newborn baby will eventually sleep through the night can provide a tremendous mental boost for you. It can give you that all-important finish line where you will once again be able to get the sleep that you desperately need. But when exactly will you cross that finish line? When will your baby quit waking up three or four times a night and interrupting your sleep? The answer here is that this will depend on your baby since no two babies are the same. Some parents get really lucky and end up with a baby that will blissfully sleep for 6 hours at a time or longer at as young as 3 months of age. Other parents don’t hit the baby lottery and end up with a baby that won’t sleep through the night until they are around a year old. The average falls around 9 months of age, so try to keep that in mind during those middle of the night feedings. According to BabyCenter.com, Establishing good sleep habits early can stop baby sleep problems before they start. Here are 3 simple, but powerful things you can try. While it may seem chaotic the reality is that your baby does have a pattern to how they sleep and if you pay attention then you can recognize it. It’s important because it will allow you to take advantage of when they normally go to sleep. Most babies tend to sleep more soundly if they have recently been fed. Shoot, even our 2 1/2 year old, Steven, takes MUCH better naps and sleeps better at night when he’s got a full tummy. So if your baby should be getting ready for a nap, then try to feed him or her first so they will be more likely to sleep without becoming too fussy. Knowing when your baby is likely to sleep is important because it also allows you to get some much-needed shut-eye. While it’s far from ideal, it’s better to get a few hours of sleep at a time than to get no sleep at all. When your baby cries your first instinct is probably to pick him or her up. That’s what most parents do, and it’s what you should do some of the time. Babies love to be held, it makes them feel safe and close to their parents. The problem here is that since babies love to be held, they may become used to it to the point where they are fussy whenever they are not being held. This can be especially problematic when it’s time to put them down for a nap. You may be able to get your baby to fall asleep in your arms, but then when you put them down it disturbs them and the crying starts. While it may go against your natural instincts, you really do need to avoid holding your baby all the time. If your baby is crying and there’s no reason you can find, then sometimes you just have to let them cry it out. After a while, your baby will realize that crying won’t get you to hold them all the time, and they should get more accustomed to laying in their crib alone. Babies are adorable, and you probably love nothing more than playing with your little one as much as you can. Their smiles and laughs are a parent’s greatest joy and can make all of the challenges of taking care of them well worth it. But, you have to remember that there is a time and place for playing with your baby, and bedtime is not that time. If you play with your baby before putting them to bed, then it’s going to stimulate them. They enjoy interacting with you and playing with your baby before bed can quickly change a sleepy baby into one that needs more attention. If you are going to interact with your baby before bed, do so in a calm and soothing way. You can rock your baby gently, but really should avoid talking, singing, and especially playing with him or her. You also should make it a point to be extra gentle, and by keeping the room dark you will also help to get your baby to calm down making him or her more likely to go to sleep. Always remember that when it’s time for bed or a nap anything you can do to soothe and calm your baby will make it more likely that they will sleep more soundly.